"The customer is always right," was popularized by pioneering, successful retailers such as Harry Gordon Selfridge, John Wanamaker and Marshall Field. I remember a variation on this idea — Rule 1. The customer is always right. Rule 2. If the customer is wrong, go back to Rule 1. This fundamental premise of customer service remains true regardless of channel: brick-and-mortar store, mobile device or website. Emerging technologies provide retailers the opportunity to differentiate themselves with data and analytics that enhance the customer experience. Retailers can partner with the analytics using data associated with past and present interactions and through systemic innovation can capitalize on future customer interactions. SAS has been a Red Hat partner for more than 15 years. Its retail customers use Red Hat technologies across many parts of their organizations. Red Hat Enterprise Linux is the preferred choice for many SAS retail customers because it provides a stable, reliable platform with a low total cost of ownership. SAS® Analytics, when paired with Red Hat Middleware, allows teams to seamlessly integrate retail data movement from the edge to the data center. In addition, both companies have developed a joint workflow to ensure that customer problems are resolved quickly. But what does this partnership really mean to the retail customer? Better scalability. Seasonal factors can significantly impact the retail industry. A spike in demand around signature events -- planned and unplanned – can result in order-of-magnitude variations in the volume of data to be processed. The larger the data volume, the higher the compute and storage resources required. That’s where cloud can come in. SAS Analytics with Red Hat open cloud technology allows retailers to scale their analytics up and out as their business climate evolves by automatically provisioning additional resources. Faster time to analytics. The digital customer is not only motivated by the products available through the retailer but also to the overall shopping experience. A robust IT strategy has become even more important to the retailer. Retailers need to continually develop new features that draw customers to the store for the experience. The goal is to entice a digitally-minded customer to get offline and come to the store. Red Hat solutions power DevOps implementations that speed time to market. Increased flexibility. The digital world would be a lot simpler if everyone a single cloud solution. But it is a hybrid world out there with a multitude of workloads that are best suited for a diverse array of environments including bare metal, virtual machines, private and public clouds. Workloads may need to be moved across these environments as well. Red Hat technologies allow retailers to virtualize their SAS analytics over a range of secure deployment options, including public, private, and hybrid clouds. Added security. 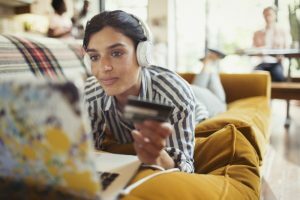 Data being such a precious commodity, digital retailers may have to be more concerned in some cases about the security and privacy of their customer’s data than the goods they sell! ‘Adversaries R Us’ are always on the prowl in the digital neighborhood, continuously innovating newer ways to penetrate the enterprise to access the customer data. Prevention is better than cure, even when it comes to data security. With the SAS and Red Hat platform, customers benefit from continuous built-in security, offered end-to-end on trusted platforms and augmented by automated patching and proactive remediation in compliance with regulatory standards. SAS and Red Hat provide a platform that supports every phase of the analytics life cycle to ensure that the Customer will always be right! Let me take it a step further. If such partnerships are not leveraged to benefit the customer, Retailers will be proven wrong! How else can they drive a partnership with analytics? E.G.Nadhan is Chief Technology Strategist for the Central Region at Red Hat. He provides thought leadership on various concepts including Cloud, Big Data, Analytics and the Internet of Things (IoT) through multiple channels including industry conferences, Executive Round tables as well as customer specific Executive Briefing sessions. With 25+ years of experience in the IT industry selling, delivering and managing enterprise solutions for global corporations, he works with the executive leadership of enterprises to innovatively drive Digital Transformation with a healthy blend of emerging solutions and a DevOps mindset.